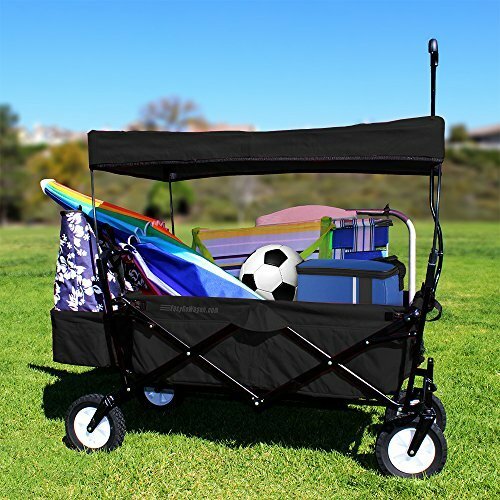 PORTABLE AND CONVENIENT – Patented folding design makes this the most portable wagon on the market. 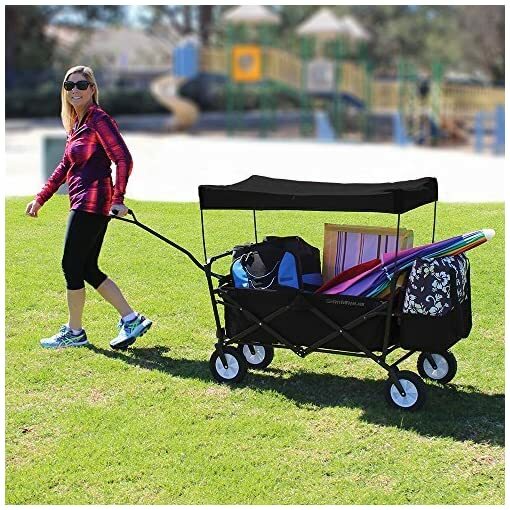 It folds to 1/8th of its original size for storage. 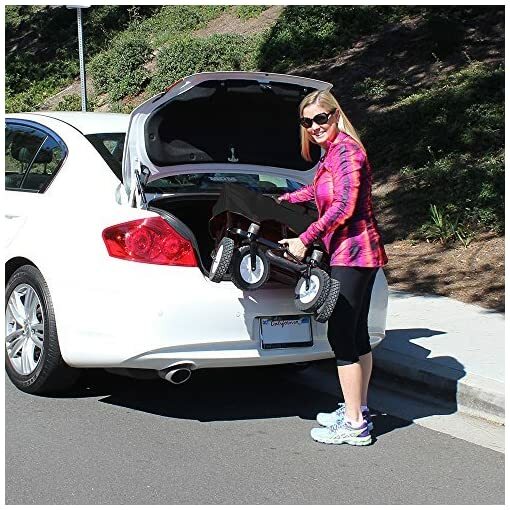 Fits into standard car trunk. Only 26 pounds. Heavy duty steel frame. 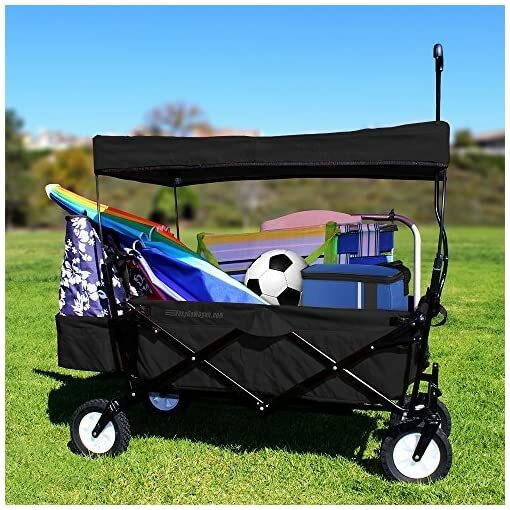 125 pound load capacity. 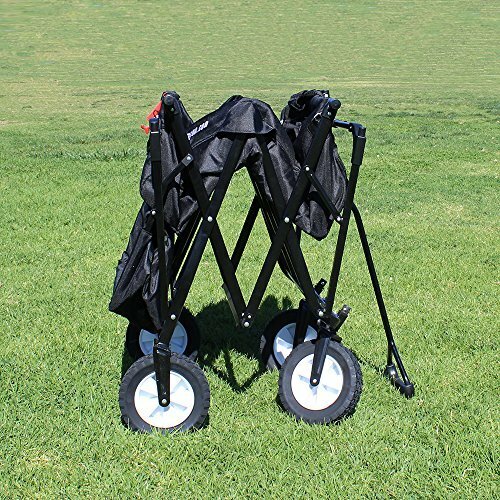 ALL-TERRAIN TIRES – Wagon comes with heavy duty wheels and tires that are great for street, dirt and sand. Tires are not filled with air so you never have to worry about a flat tire. USEFUL AND VERSATILE – Great for taking to the park, events, swap meets, shopping, tailgating, sporting events, beaches, art festivals, fairs and festivals, amusement parks, etc. 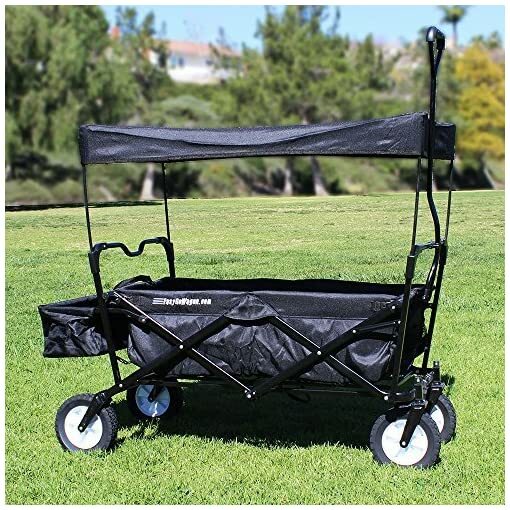 Wagon comes with fabric cover when not in use. The wagon is protected when not in use. Wagon is shipped with cover already installed. 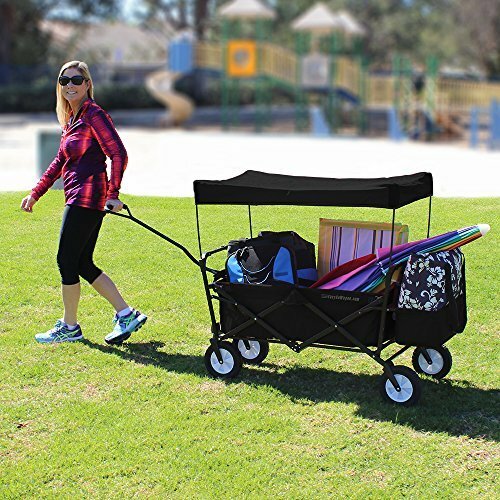 EasyGoWagon – The most portable design on the market and it folds to 1/8th of its original size for storage. 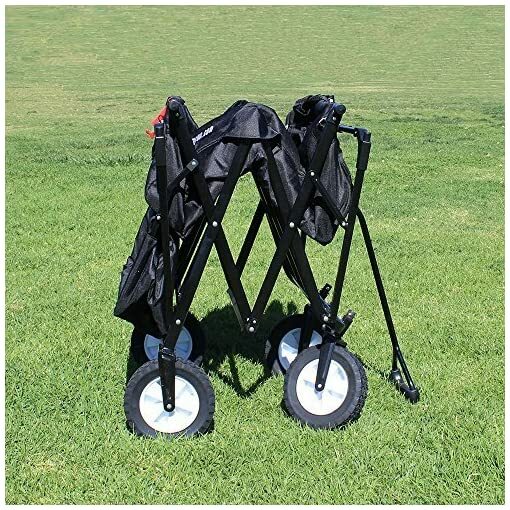 Unlike common wagons this can be stored easily on a hook in your garage. Lightweight at only 31 pounds our wagon is 10 pounds lighter than the competition. 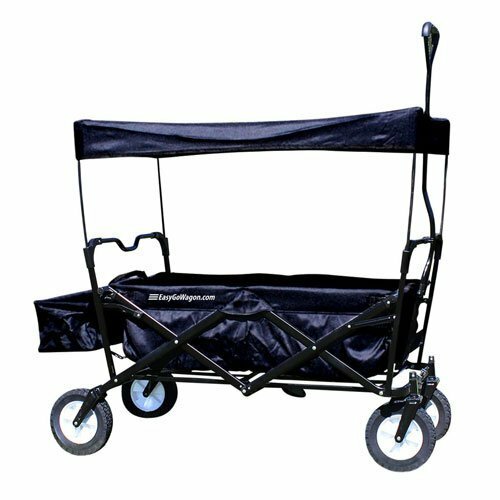 Our wagon has the largest wheel base making it safer and prevents the wagon from tipping. Our design is strong and is proven and tested in the marketplace. COMES FULLY ASSEMBLED. Just open from box and you are ready to go. 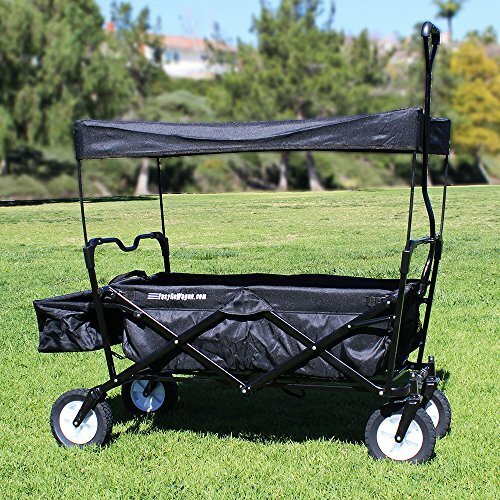 The Shade cover is easily removable when used as garden wagon or utility cart. 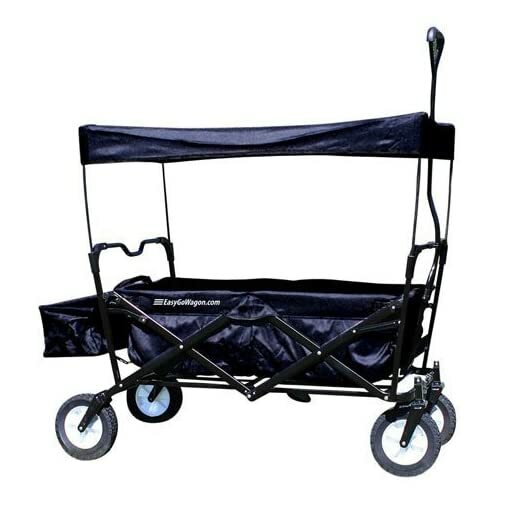 The fabric part of the wagon is made from heavy duty 600 denier polyester. 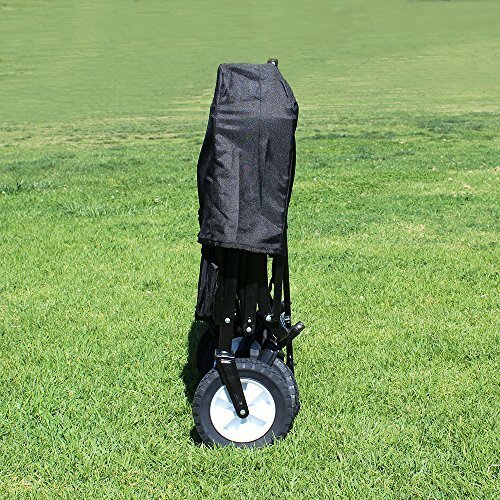 100% SATISFACTION GUARANTEED – We are so confident that you will like our EasyGo Wagon that if you return it within 30 days, we will give you a full refund on the product price. Try it, we know you will like it!